Welcome to our fourth weekly roundup (now called “Research Roundup”). These Friday posts aim to inform our readers about the many stories that relate to animal research each week. Do you have an animal research story we should include in next week’s Research Roundup? You can send it to us via our Facebook page or through the contact form on the website. A new study finds that most of our blood cells are made in the lungs, not bone marrow. Using genetically modified mice that expressed a green fluorescent protein (GFP) and photon microscopy, scientists were able to track blood platelets as they circulated around the body in real time. Surprisingly, they found a large population of megakaryocytes, responsible for the production of blood cells, in the lungs. This population of megakaryocytes was found to produce upwards of 10 million platelets per hour — at least half of the body’s total platelet production. Further experiments, found another population of megakaryocytes just outside the lung tissue — about 1 million per lung. Additionally, using mice with no stem cells in the bone marrow (eliminating blood cell production there), they found that cells from the lungs migrated to and facilitated blood cell production in the bone marrow. Because of technological advances in genetic engineering and microscopy, this study challenged a decades-old assumption, central to the field of biology and medicine. This study will of course need to be replicated and assessment performed of whether these findings generalize to humans. Sea urchin spines can be used to fix bones, offering a much needed refinement to the second most performed transplant procedure, after blood. Current procedures involving transplants for bone defects lead to subsequent complications as, for example, when brittle synthetic compounds break, causing further inflammation. This study therefore investigated whether the rigid structure of sea urchin spines represent a superior alternative material to currently used products. Sea urchin spines were first soaked in sodium hypochlorite for 30 min, and then rinsed in deionized water at 200C for 2 days in order to remove organic material, converting the spine to magnesium-substituted tricalcium phosphate (β-TCMP) scaffolds, while maintaining the rigidity of the original open-cell structures. When testing the material on rabbits and beagles, they found that bone cells and nutrients could flow through the pores and promote bone formation. They also found that the scaffold degraded easily as it was replaced by the new growth. A new study found that a population of neurons in the striatum is implicated in the Pavlovian associative learning. 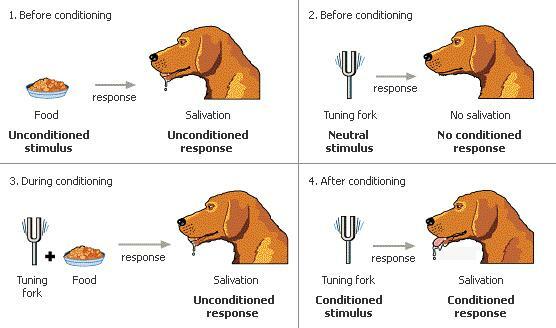 Pavlovian conditioning is a cornerstone of Behavioral Psychology; although the implications for subsequent research investigating links to disorders such as addiction, compulsive behavior, and schizophrenia are probably understated. In the present study, researchers exposed mice to an odor — banana or lemon — followed by a reward of condensed milk. By repeatedly pairing the odor with the reward, mice learned that a certain odor predicted a particular reward. Similar to Pavlov’s earlier experiment, the anticipation of the reward upon presentation of odor also occurred — mice licked the air — analogous perhaps to how humans lick their lips in anticipation of, for example, ice-cream. To understand how the brain regulates this response, these researchers focused on the striatum as this area has previously been associated with reward and decision making. Using optogenetics and chemogenetics, the researchers “turned-off” a tiny group of cells that support the principal neurons in the striatum. Predictably, mice with these cells turned-off only licked the air in anticipation of milk only half as often compared to baseline levels. This difference was most pronounced in mice that were first learning the odour-reward pairing and less pronounced in mice that had learned the pairing — suggesting that these cells are involved in the encoding of the Pavlovian response. This research may have further implications for other disorders as dysfunction of this group of neurons is also implicated in Huntington’s disease, Parkinson’s disease, and Tourette’s syndrome. 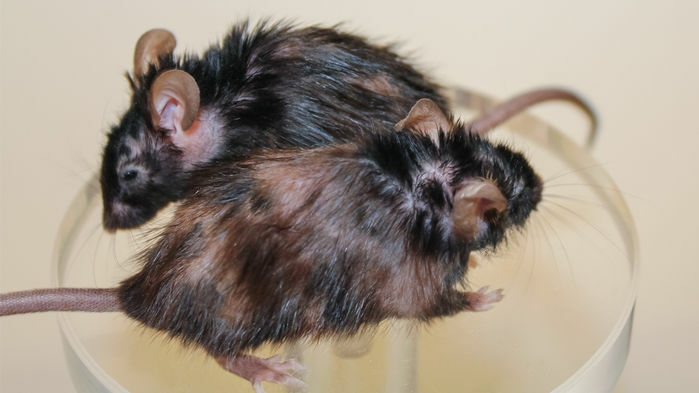 Researchers target senescent cells, cells involved in aging, to reverse the signs of aging in mice. “This is the first time that somebody has shown that you can get rid of senescent cells without having any obvious side effects.” says cell and molecular biologist Francis Rodier of the University of Montreal in Canada. Dr. Rodier was not connected to the study. The cells also share some properties with cancer cells. Researchers hope to explore applications that could lead to treatments for cancer as well as age-related diseases. New drug found to alleviate symptoms associated with Type 2 diabetes (insulin resistance) in mice. Diabetes affects 29.1 million Americans (9.3% of the population) with 1.4 million new diagnoses annually. It is the 7th leading cause of death in the USA and 90% of all cases of diabetes are of the Type 2 Management of Type 2 diabetes usually involves diet management and exercise, although oral medications may be used to bring glucose levels under control. Therefore, treatments that permit an individual to gain control of their life or to limit the symptoms associated with this disease are wanting. In the present study, scientists investigated the role of low-molecular-weight protein tyrosine phosphatase (LMPTP), in vivo for the first time. Using genetically modified mice that lacked LMPTP in the whole body and specifically in the liver, they found that LMPTP is associated with the development of Type 2 diabetes — improved glucose tolerance and reduced fasting insulin levels. They next developed, in vitro, a molecule inhibitor which preferentially binds to the receptor for LMPTP — blocking its action in the body. Testing this molecule, in mice, they again similar results to the experiment where the gene for LMPTP was removed (knocked out) — improved glucose tolerance and decreased fasting insulin levels. This study provided the first evidence of the signaling role of LMPTP in regards to Type 2 diabetes — and with subsequent replication and further testing may signal new hope for the millions of individuals that suffer from Type 2 diabetes. The University of Cambridge has produced a series of videos about how its researchers are using animals (and people) to treat OCD – a neuropsychiatric disorder that can have debilitating effects. The three part series tracks science journalist and OCD-sufferer, David Adam, as he goes into the research labs at Cambridge and speaks to experts working with rats, monkeys and people. The video shows animal experiments being conducted, explaining why they are necessary. This is a great example of openness by the University of Cambridge. See other examples of videos being produced by labs. Posted on March 31, 2017 April 2, 2017 by EditorPosted in News, Research RoundupTagged GM mice, mice, Research Roundup, sea urchin.